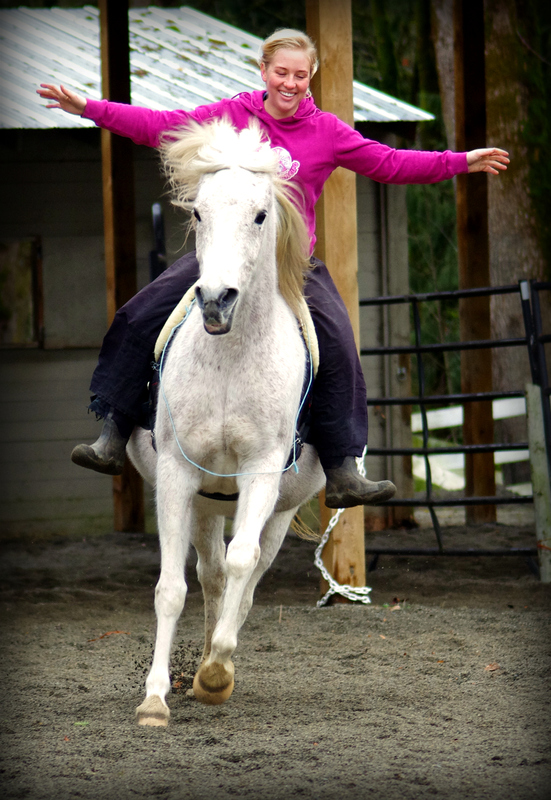 It is often during these un-structured, un-scheduled and un-forced moments, that the greatest learning and joy of being with your horse is rediscovered. 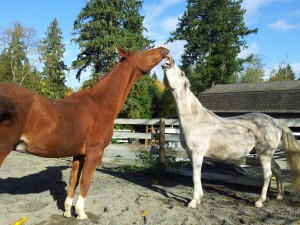 It’s also an opportunity for your horse to rediscover the joy of being with YOU. Horses are simple. They love to feel safe and comfortable. If you can create that kind of atmosphere whenever you are with them, they will always want to be near you. This does not mean that you have to let your horse push you around. Quite the opposite in fact. 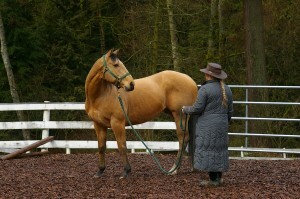 Be a firm, yet fair and kind leader and you will find that your horses will feel safe & comfortable in your presence. You need to show him that when you come to get him it doesn’t not only mean work, work and more work. Instead of catching him and haltering him, once in a while just hang out in the field with him. Sit down in the grass and watch him graze. 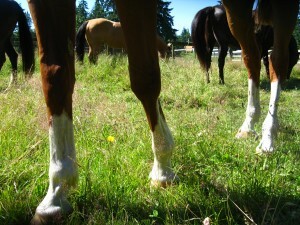 In the summer I often bring a book or my camera and just sit there in the sun keeping my horses company. Within minutes both of them will be right up beside me grazing around my feet or nuzzling me. Secondly, instead of slapping the saddle on and concentrating on putting your horse’s nose to the grindstone, use your feet instead and take you horse for a walk. Somewhere interesting & new. A quiet lane, a country road, or if you feel confident enough, a busier road with a nice wide sidewalk. I guarantee you it will show you a whole new side of your equine partner. It may even bring up some interesting leading issues. Many horses are schooled to within an inch of their lives while mounted, but in hand, they are nightmares. It’s a common loop hole in a horse’s education that many, many trainers neglect. 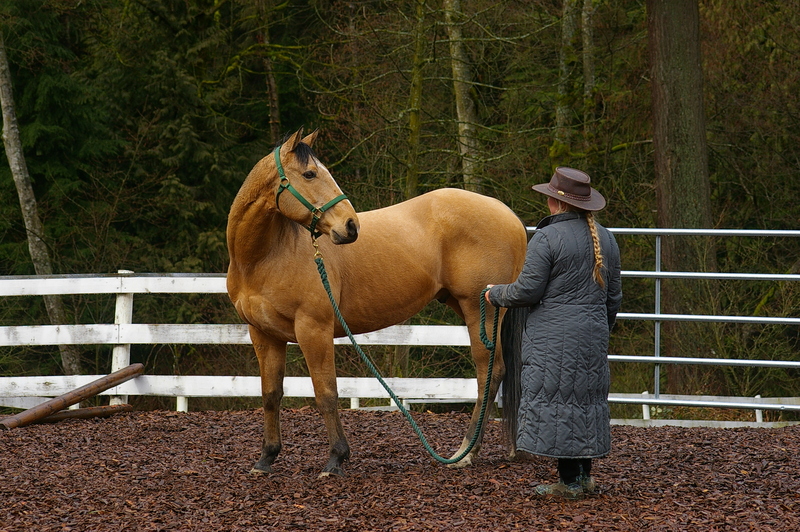 If your horse does not respect your space or understand boundaries you will discover this within minutes of walking him outside of his comfort zone in-hand. I went bridleless for the first time on my little arab Rio a few weeks ago. We already had a very close bond and understood each other well, but the level of trust I had to have in him to give him his head (Literally!!) was incredible. Removing all constraints from his head was like removing that last little thread of me thinking I was the one in control. It truly levelled the playing field and changed us from rider & horse into completely equal partners. There are no words for that feeling. A friend videoed one of our play sessions… you can watch it below. We didn’t execute any high level dressage moves or even bother with technical correctness. Together we just played with what it really means respect each other’s freedom to be ourselves.